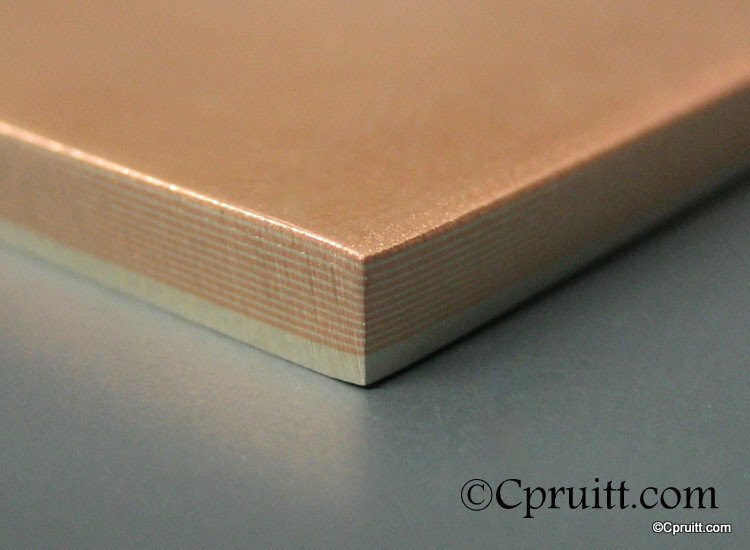 is a mixed-metal laminate with distinctive layered patterns. Translating as burl metal, the name was borrowed from one type of pattern created in the forging of swords and other edged weapons. 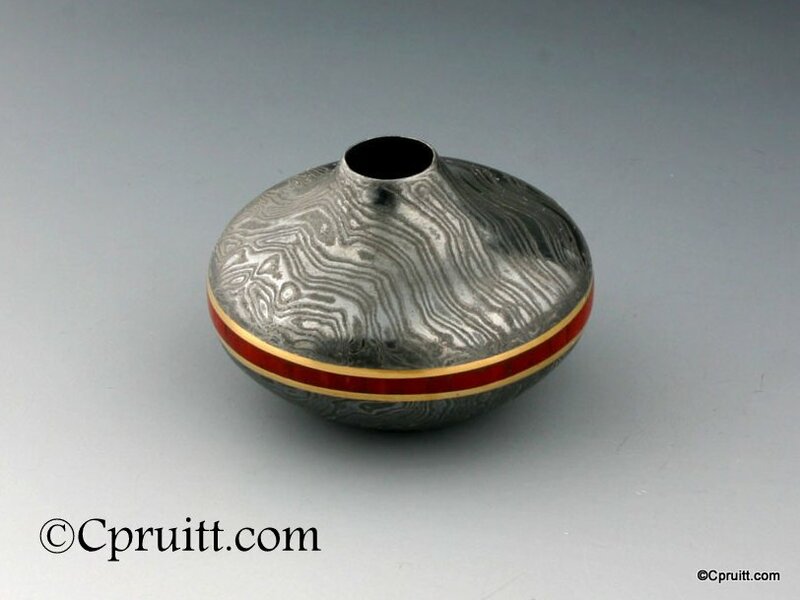 First made in 17th-century Japan, the mixed-metal was used only for sword fittings until the Meiji era, when the decline of the katana industry forced artisans to create purely decorative items instead. The inventor, Denbei Shoami (1651–1728), initially called his product guri bori for its simplest form’s resemblance to guri, a type of carved lacquerwork with alternating layers of red and black. Other historical names for it were kasumi-uchi (cloud metal), itame-gane (wood-grain metal), and yosefuki.The traditional components were relatively soft metallic elements and alloys (gold, copper, silver, shakudo, shibuichi, and kuromido) which would form liquid phase diffusion bonds with one another without completely melting. 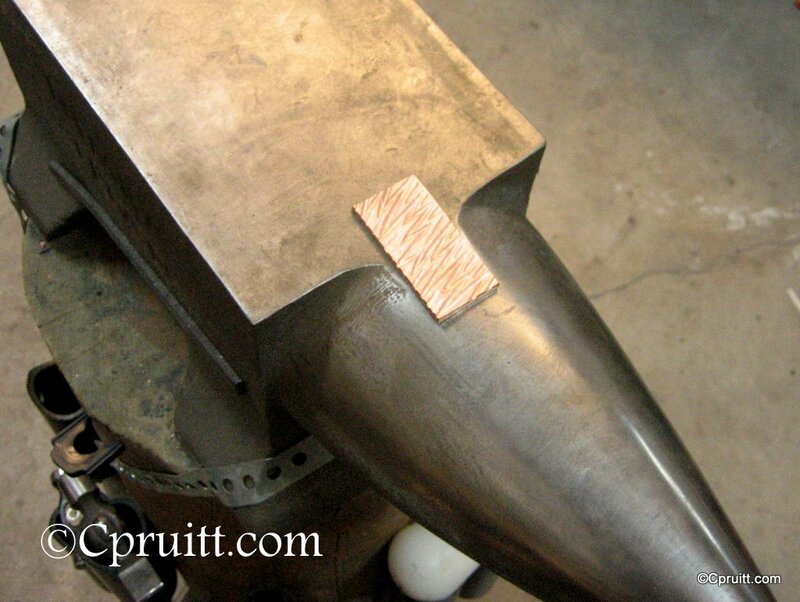 After the original metal sheets were stacked and carefully heated, the solid billet of simple stripes could be forged and carved to increase the pattern’s complexity. 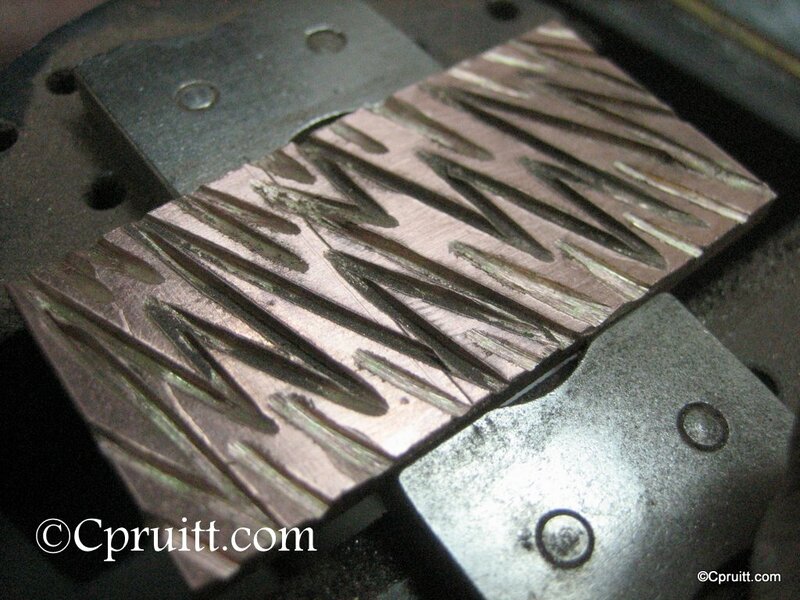 Here are some photos of the process that I go through to create patterns on a Mokume-Gane Billet . 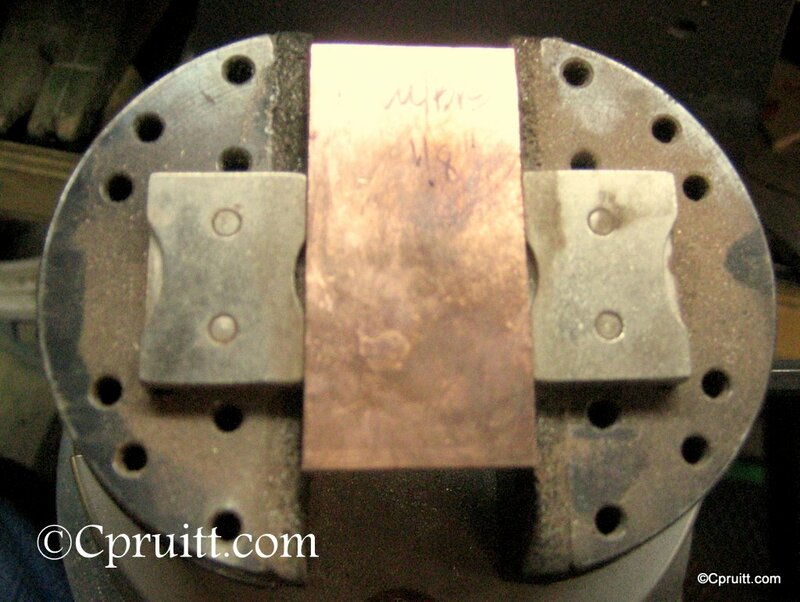 …Hope you enjoy the pictures as much as I did working the media..
A side view of Mokume Gane Billet: Showing the layering of silver and copper. 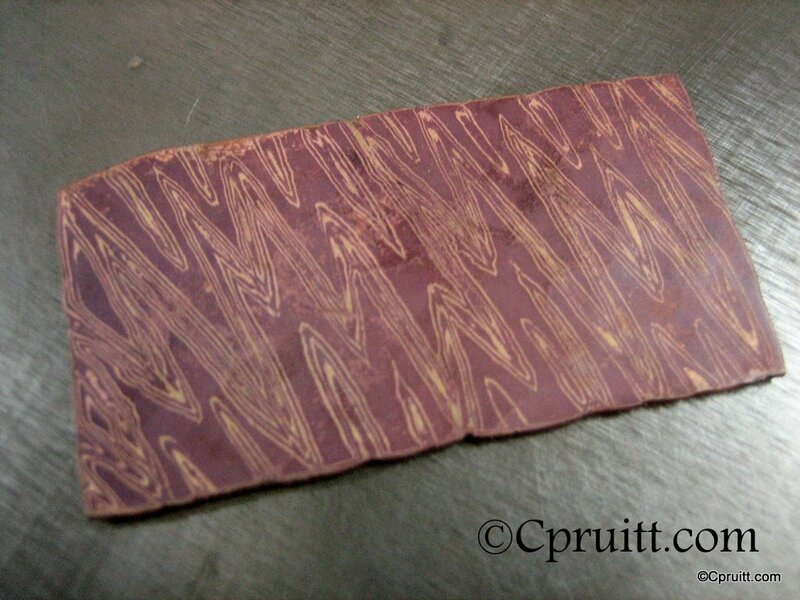 Top view if Mokume Billet before working the pattern in. 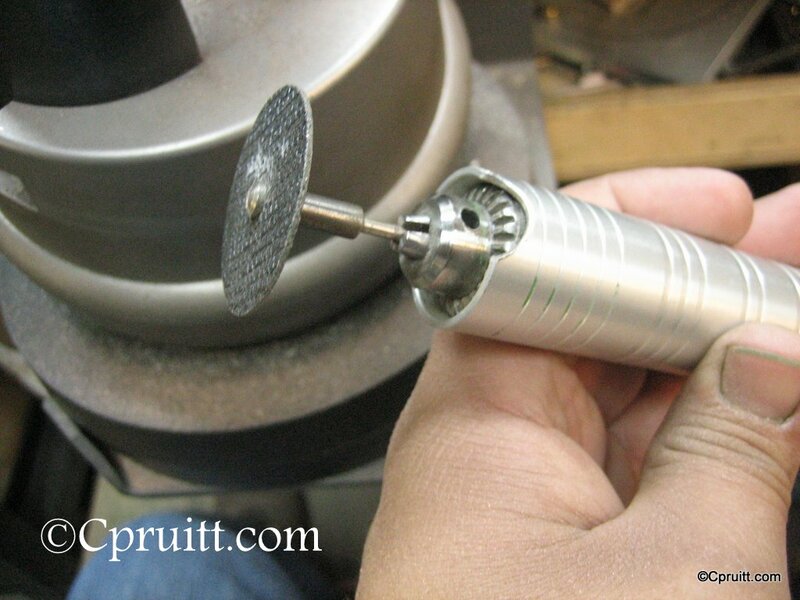 Utilizing a cut off wheel to cut into the material. 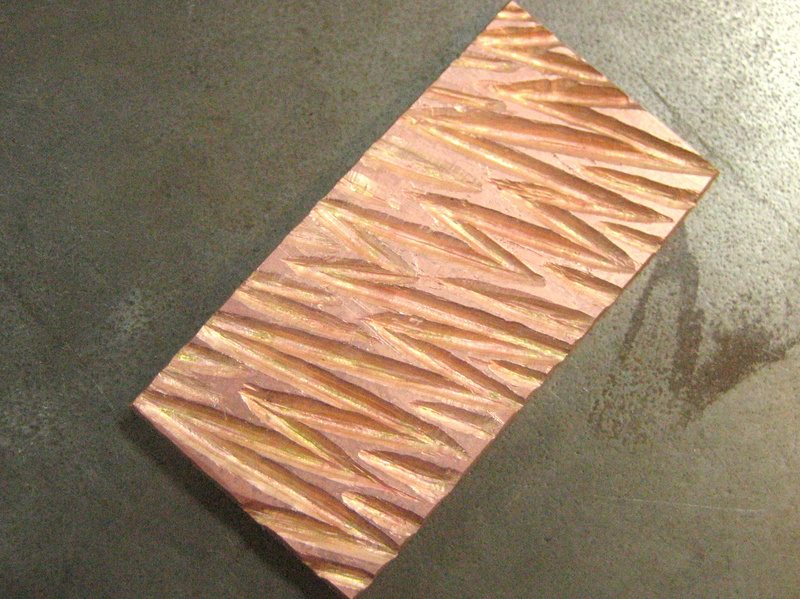 Mokume Billet after the first stage of patterning. 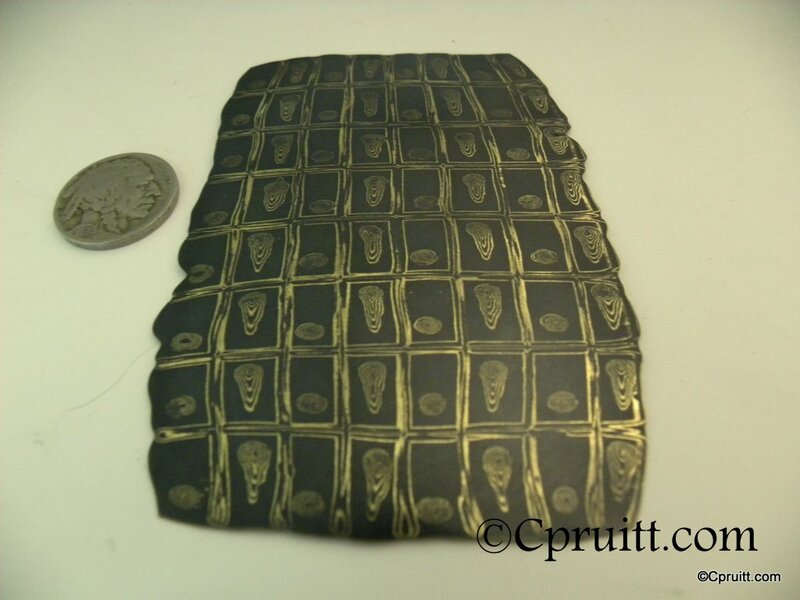 A little more material taken out for the patterning process.. 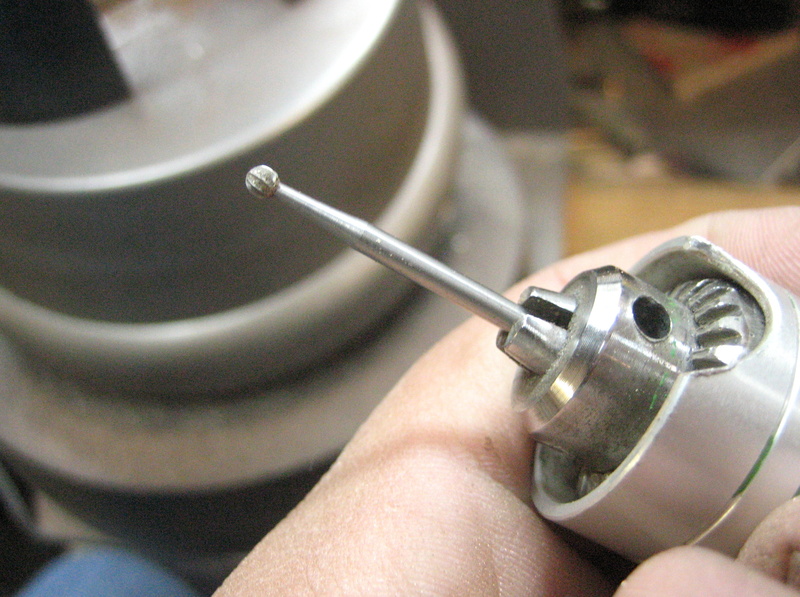 Using a ball bur to widen the first cuts in the billet. Finished the removal process, cleaned and ready to be hammered flat. 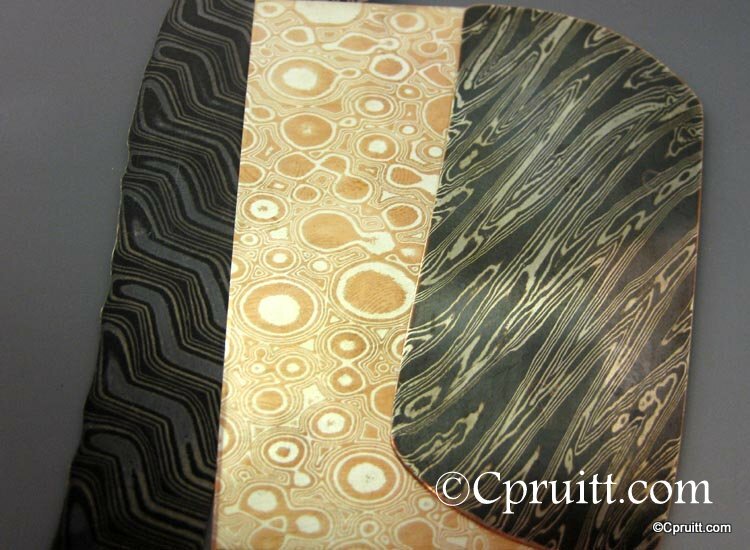 Mokume Ready to be pounded flat on a anvil..
Mokume Gane after first of 3 rounds of flattening. 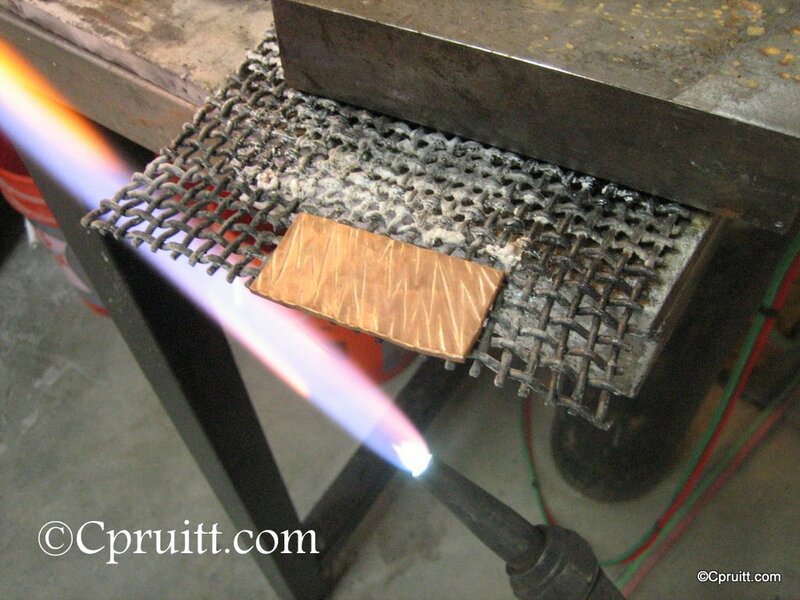 Annealing the mokume, ready to be rolled. 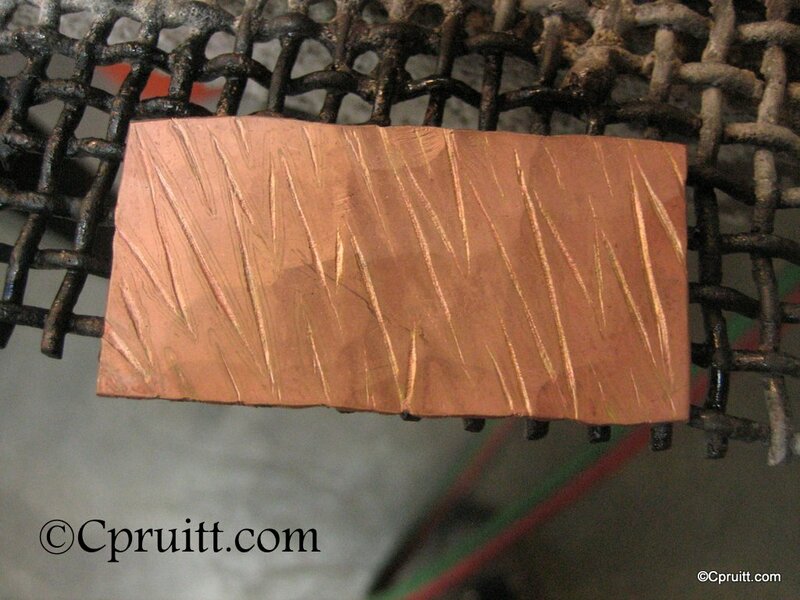 After putting through the rolling mill a few times. 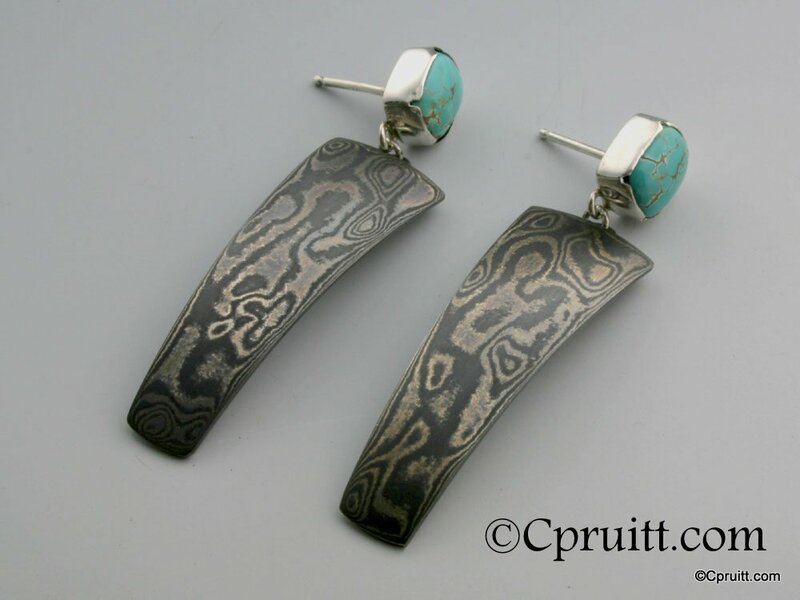 Cut on a CNC mill and finished by hand, Sterling silver and Copper Mokume. 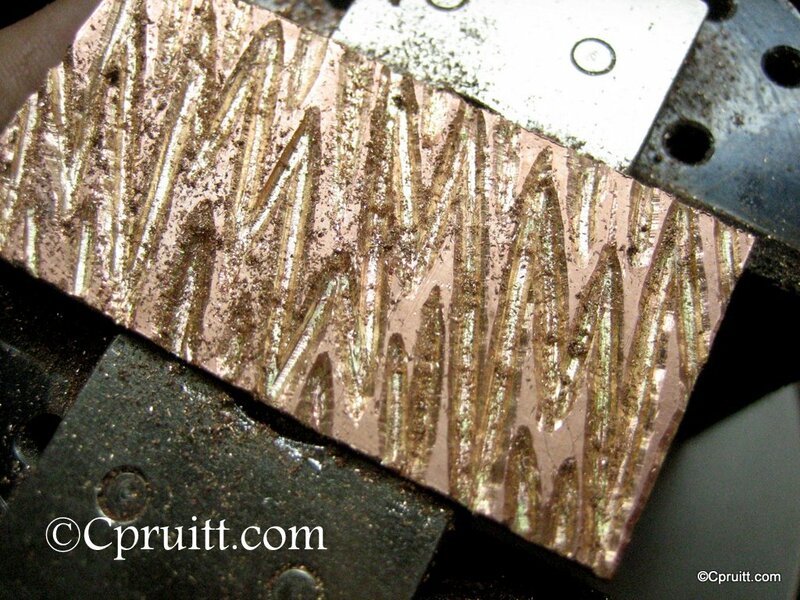 Example of various patterns in Silver/Copper Mokume and Copper/Brass Mokume. 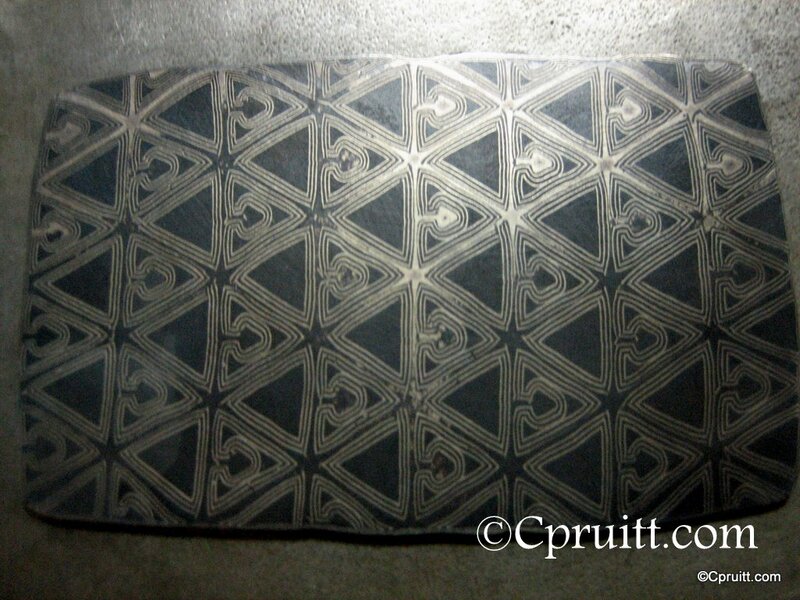 The darker patterns have patina from liver of sulfur.